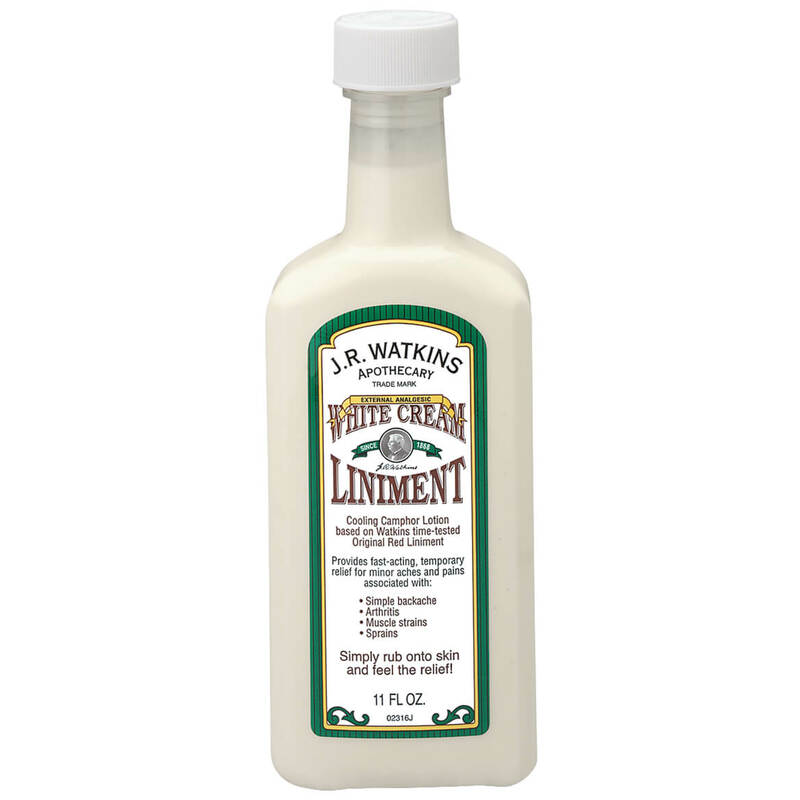 JR Watkins White Cream Liniment - 11 Fl. Oz. I love this product and so does my husband. 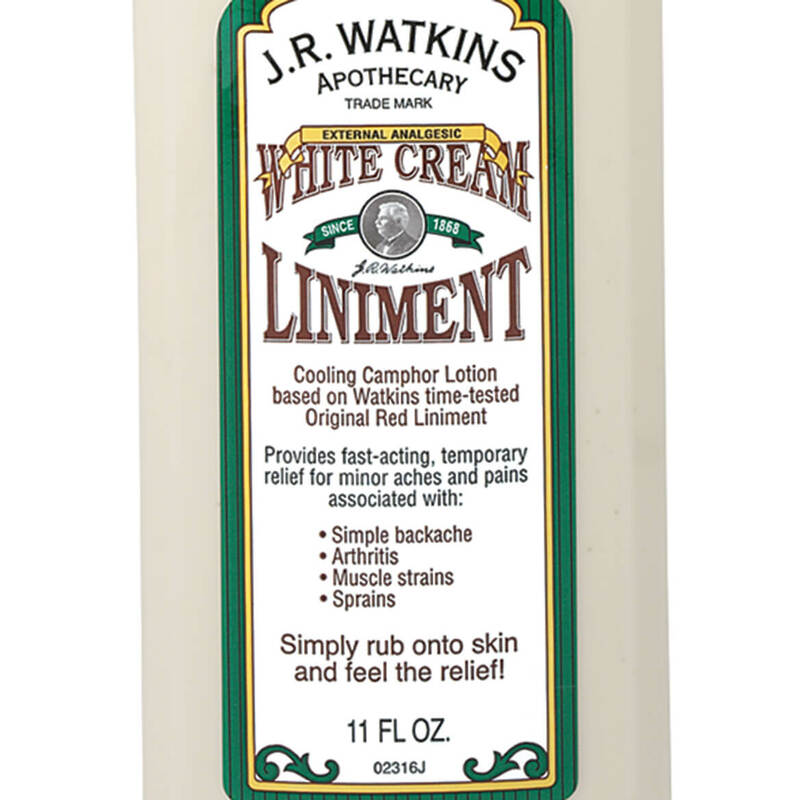 We both suffer with arthritic and we are glad that we came across this product. Thank you Miles Kimball. MY FAMILY AND I LOVE THE WAY IT STARTS WORKING FAST. THE MENTHOL JUST FEELS SO COOL TO THE SKIN AND THE SMELL DISAPPEARS QUICKLY. I LOVE THE SMELL MY SELF.